"4 Seasons 5 Elements", a Photography and Digital Art Exhibition held at the Japan Creative Centre (Singapore) on June 2012. 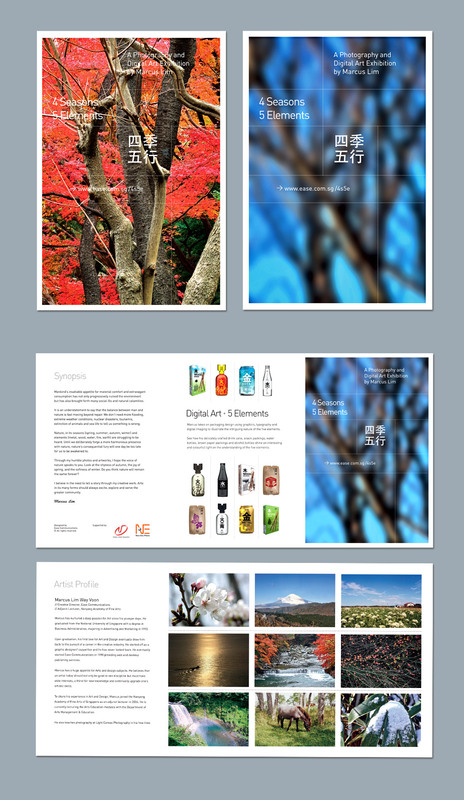 In designing the show brochure, we hoped for people to be reunited with nature's splendour. The enchanting photos, clean grid and crisp copywriting consummated our work. We added a colourful twist by presenting two contrasting covers featuring different seasons. The glossy finish and handy-sized brochures were appealing at the reception.